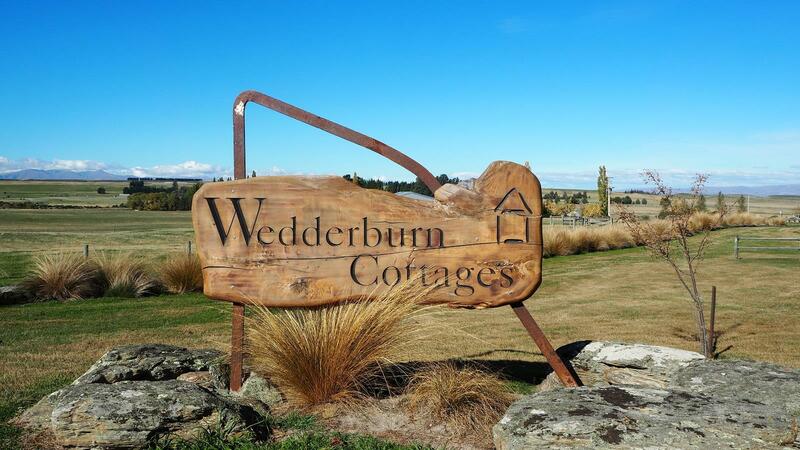 The name, Wedderburn Cottages, doesn’t quite tell the whole story. Yes, there are 14 charming cottages. But there is also The Lodge – a converted 1928 farm homestead – and 4 quaint miners’ cabins. All up, 55 people can rest and relax, and enjoy the stunning vistas from the Duncan family’s Penvose Farm. The Duncan family has farmed at Wedderburn for four generations. When the Otago Central Rail Trail opened in 2000, the Duncans quickly recognised the need for good, affordable accommodation. Lorraine: Along with Stuart’s parents, Graham and Alison, we farm, which straddles the rail trail. When the trail opened, it was obvious that accommodation was needed. You’ve spent 30 kilometres sitting on a bike – you want somewhere good to stay, with your own bathroom, good food and wine and good service. We wanted people to open the door to their cottage and say “ahhhh” – and they do. Why are our cottages so popular? Guests say it’s the finer details: hair driers, the “green cloth” for cleaning down bikes, warmth and cleanliness, and a restful outlook. The beauty of the Wedderburn Cottages is that they are part of a larger, traditional Central Otago business – a family farm. Today, Penvose Farm is highly diversified, incorporating sheep, beef, deer and dairying. Like all good farmers, Duncans work hard to preserve the area’s integrity – the land, its landscapes and its history. We have such wonderful stories – 100 years’ worth – that people love to hear. They understand that we are here for good. The opening of the Red Barn, as a mid-trail resting point for all rail trailers, reinforces the colourful history of Wedderburn. Everyone loves the Red Barn – they find the history mind boggling. In New Zealand, we think we haven’t got a lot of history, but we have. Sustainability requires balance, in terms of the business itself, the natural environment and the community. As fourth-generation Wedderburn locals, Duncans respect that balance is critical. We have been particularly careful with our buildings – their shapes and colours. We were looking at building another row of cottages in front of the existing cottages. A photographer was staying in cottage two and enjoying a coffee on the verandah. We were out in the paddock, with stakes in the ground, trying to imagine what the cottages would look like. He could see us arguing away and said: “If you really want to know, don’t put them there.” We stopped. He was right. Central Otago is full of contrasts and diversity. Nowhere is that more obvious, than on the rail trail. Each year, Lorraine notices increasing numbers of overseas guests passing through – adding yet another layer of interest for locals and fellow travellers, alike. Core to the success of our business is taking the time to talk with people – learning where they come from and hearing about their day. Sure, some don’t want to talk – and you get good at picking them – while others really do want to talk. Equally, telling guests your story is sort of weird, but quite cool. It’s a story we take for granted, when really we shouldn’t.